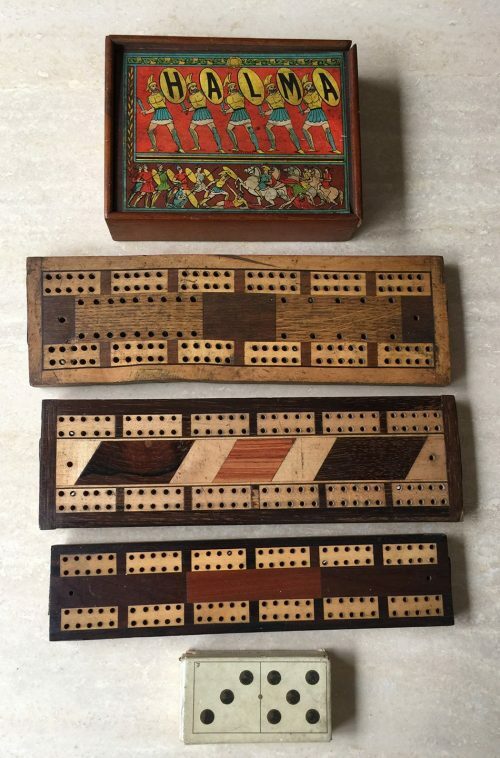 Halma, Cribbage Boards and Dominoes. 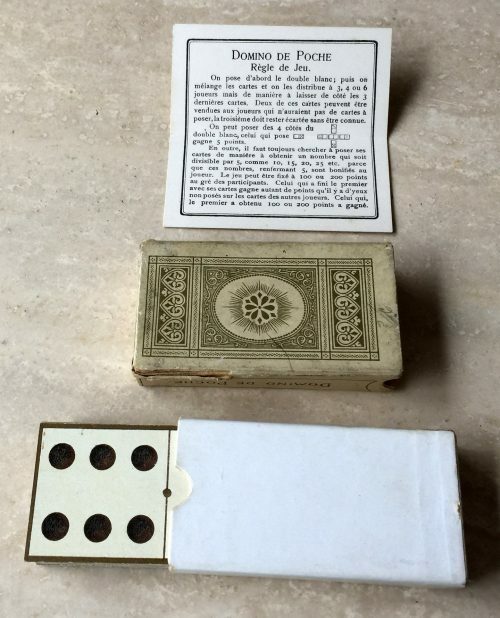 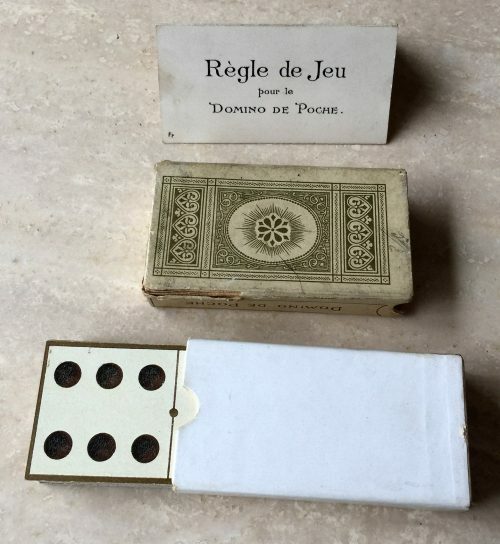 Offered here is a unique grouping of a set of Halma playing pieces in their original Mahogany slide-top box, circa 1860; three Cribbage boards with internal storage compartments and two bone pegs; and a rare and complete set of Règle de Jeu Dominoes playing cards. All items are in very good to excellent condition. 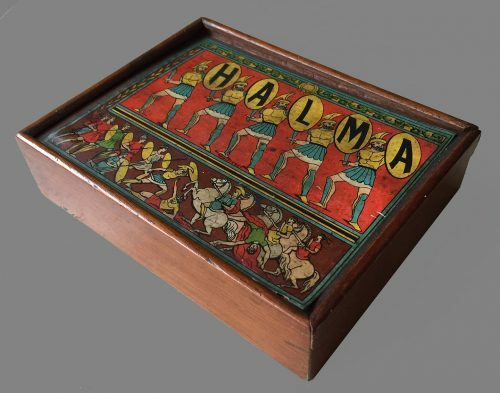 Halma (from the Greek word ἅλμα meaning “jump”) is a strategy board game invented in 1883 or 1884 by George Howard Monks, a US thoracic surgeon at Harvard Medical School. 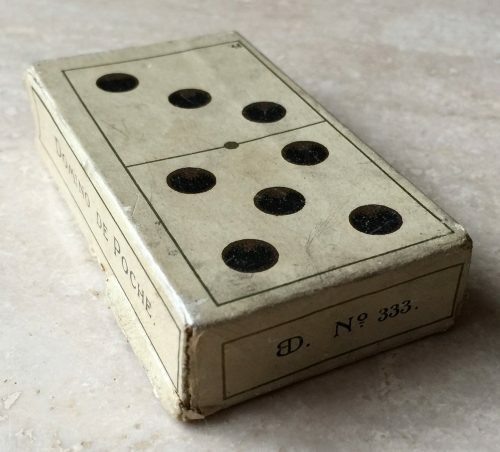 His inspiration was the English game Hoppity which was devised in 1854. 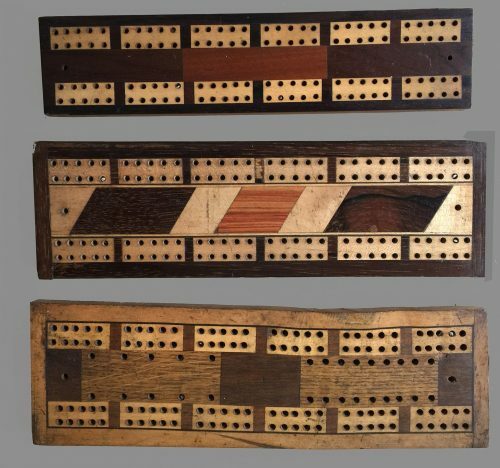 It is strongly related to Chinese Checkers, but the piece movements are different. 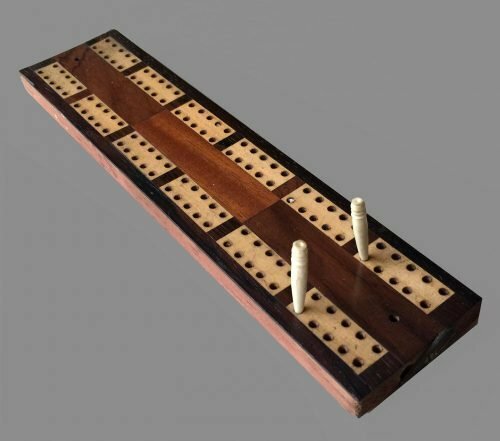 The game board is checkered and divided into 16×16 squares. 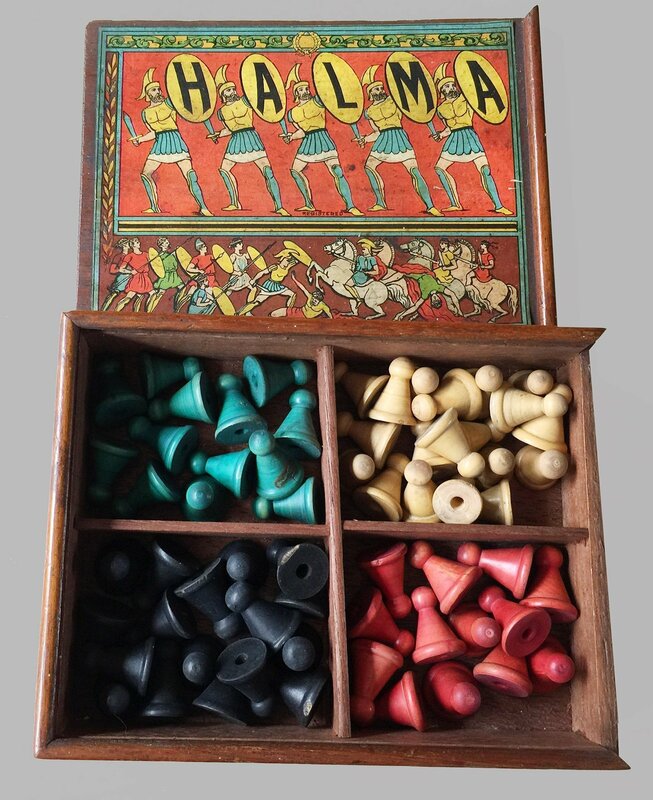 Pieces may be small checkers or counters, or wooden or plastic cones or men resembling small chess pawns. Piece colors are typically black and white for two-player games, and various colors or other distinction in games for four players. This set uses red, white, turquoise and black. 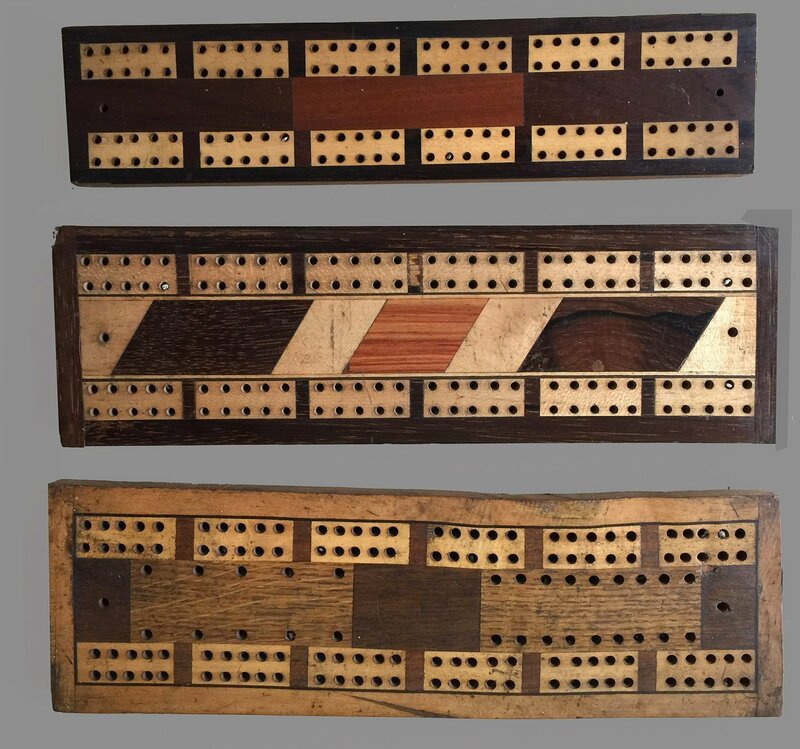 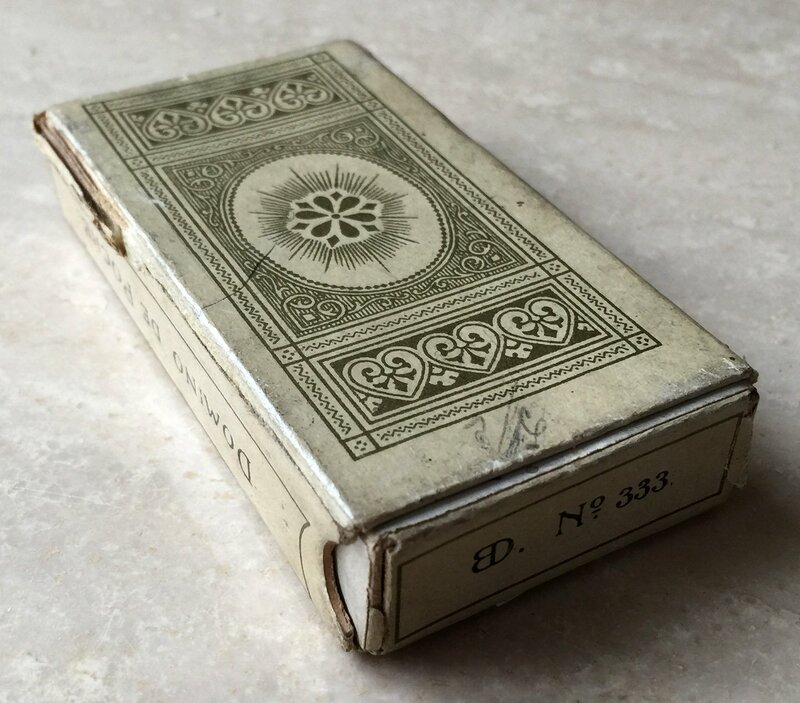 According to John Aubrey, cribbage was created by the English poet Sir John Suckling in the early 17th century, as a derivation of the game “noddy.” While noddy has disappeared, crib has survived, virtually unchanged, as one of the most popular games in the English-speaking world. The objective of the game is to be the first player to score a target number of points, typically 61 or 121. 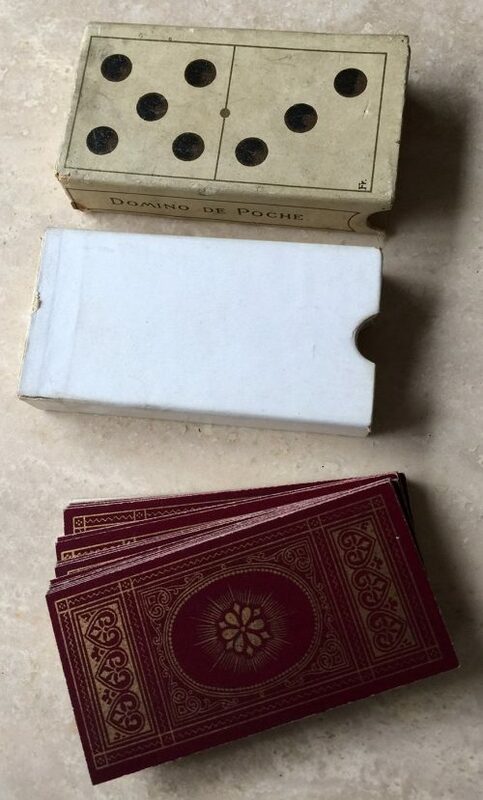 Points are scored for card combinations that add up to fifteen, and for pairs, triples, quadruples, runs and flushes.